Custom dragon shape bottle opener keychain empowers you to take dragon leap in the niche competition with its unique design and utility value. This Chinese animal zodiac keychain can be handed out during travel tradeshows, Asian themed parties, exhibitions and other promotional or personal celebrations. Perfect for gifting during homely celebrations or any other event, where huge youth participation is expected. You can avail exciting price discounts on wholesale orders of this dragon shape bottle opener animal keychain. 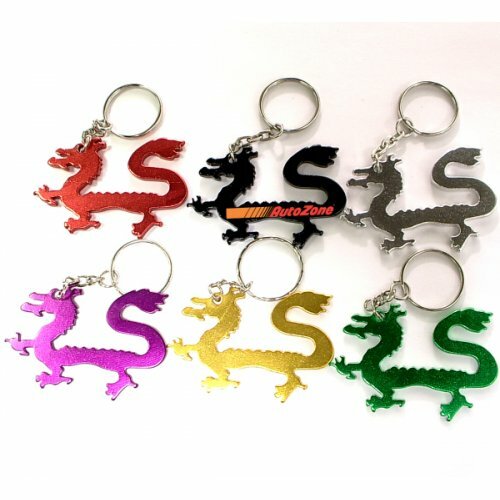 Request a quote to know discounts on wholesale customized dragon shaped bottle opener keychain. Features – Dragon shaped aluminum body in metallic finish. 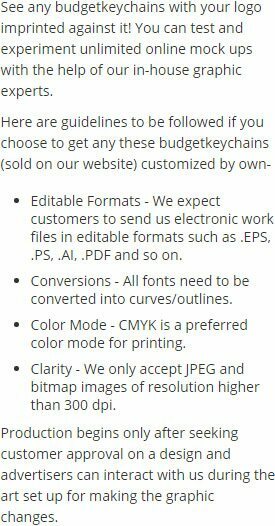 Product Size – 2 7/16" x 1 1/2"
Available Colors - Metallic Black, Metallic Gold, Metallic Green, Metallic Blue, Metallic Purple, Metallic Silver, and Metallic Red. Imprint area - 1 1/2" x 5/32". Imprint Area :1 1/2" x 5/32"
Product Size :2 7/16" x 1 1/2"